Appreciation of music is a subjective phenomenon. Chitravina N. Ravikiran, in a simple and appealing style, provides a guideline to understand and appreciate Carnatic music by covering a range of topics, starting from what is Carnatic music to the techniques followed, the various forms it can be presented in and the improvisation techniques an artiste follows to showcase his talent as well as present the innate beauty of the compositions he or she is singing. Ravikiran, world’s youngest prodigy at the age of two (in 1969), himself mastered the art early and could identify and demonstrate 325 ragas, 175 talas and answer numerous other music related questions. He presented vocal concerts between the age of five and nine, which he has resumed since 1999. He switched over to the exquisite, 21-stringed Chitravina when he was 12 and presented a record non-stop recital for 24 hours when he was 18. He is also the first or younger to receive several awards. Chitravina N Ravikiran, hailed as the Mozart of Indian music, made headlines as the world’s youngest prodigy at the age if two (in 1969). He could identify and demonstrate 325 ragas, 175 talas and answer numerous other music related questions. He presented vocal concerts between the age of five and nine, which he has resumed since 1999. He switched over to the exquisite, 21-stringed chitravina when he was 12 and presented a record non-stop recital for 24 hours when he was 18. Ravikiran has presented concerts and lectures all around the world and has won acclaim as ‘Perhaps the world’s greatest slide player’ and ‘An arresting virtuoso whose playing is ravishing’. (Los Angeles Times). Recognized in the world music for his novel concept Melharmony, Ravikiran is also one of the more prolific composers today in Indian music as well with over 500 original pieces that include music-dance productions such as Lakshmi Prabhavam (USA 1997), Savitri (Australia, 1998), Cosmos (Canada 1999), Vinayaka Vaibhavam (USA 2000) and In the Long White Moonlight (USA 2001). Ravikiran has been the first or youngest to receive several other awards from the age of six, including Star of India, Kalaimamani, Kumar Gandharava Samman, Sangeeta Choodamani, Vadya Ratnakara and Isai Peroli. Ravikiran attributes all his success to his gurus chitravina maestro Narasimhan and Sangeeta Kalanidhi T Brinda. Music lovers the world over received the first edition of this book very warmly. It was prescribed as reading material by several institutions and universities and served as a springboard for several music and culture-related web sites and also other primer products on Carnatic music like CD ROM. These factors encouraged me to come out with this new updated edition, with some refinements, additions and improvements to the earlier version. I can never thank the legendary writer late Shri R K Narayan enough for going over the entire first edition and editing it in his inimitable manner. I have incorporated most of his suggestions in this edition. Thanks are also due to his equally illustrious brother, Mr. R K Laxman, for his eye-catching cover, along the lines I had requested. My special thanks to Mr. N Ram of The Hindu for investing a considerable amount of time and energy into the original work and improving its readability. I would like to express my appreciation to Lata Ganpathy and Savita Narasimhan for meticulously proofing this edition and offering their inputs as also my good friend Mr. Srinivasmurthy of Ganesh &amp;amp;amp; Co, for publishing this again. This book would never have seen the light of day but for the knowledge and inspiration I derived from gurus Chitravina N Narasimhan and Sangeeta Kalanidhi Smt. T Brinda. A lot of people from different parts of the world have requested me to write a book on Carnatic music appreciation. I have tried to satisfy their demands to the best of my ability. It is obvious that appreciation is a very subjective phenomenon, especially at the instinctive level. There need be no apparent reason to like, dislike, or even be neutral about a subject. Though intellectual awareness of certain forms or schools of art may influence appreciation, and possibly widen one’s field of entertainment, it is the response that a thing evokes at an emotive or even the spiritual level that often holds the key. 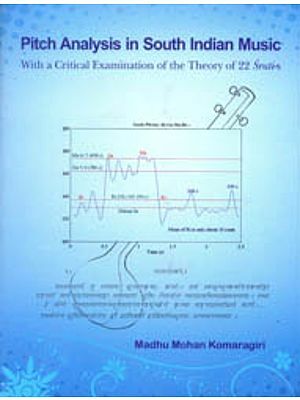 Thus, this book merely gives helpful pointers towards appreciation, but the result is more dependent on the actual music one hears. However, a great pre-requisite is an open mind. 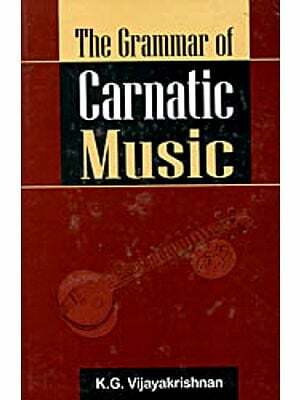 This book has been intended for three categories of people: (i) Those not familiar with any music system, (ii) those familiar with music, but not with Carnatic music and (iii) those already acquainted with Carnatic music, seeking more information about it. Special efforts have been made to assist the reader to follow the sequence of chapters or to read any chapter at random. Practical illustrations have been provided wherever possible to enable the reader to relate to typical concert situations. Also , technical terms have been used as sparingly as possible, and when used, have been de-mystified. The book has been divided into three sections to make it well defined: Section One deals with basic information. Section Two answers specific questions commonly asked by audiences all over the world. A series of appendices containing information of a more technical and practical nature make up the final part, which is Section Three. Besides these, the book contains pictorial illustrations. A studied attempts has been made to understate potentially divisive aspects like region, religion, language, etc. and to highlight music as universal phenomenon, capable of transcending all barriers and bringing humanity closer. Finally, I sincerely request the readers to unhesitatingly get back to me for any clarifications, additional information or suggestions they may have to offer, to make the book more useful.